Working with the opposite gender could pose challenges for those who have not interacted much in their earlier lives. Based on a personal experience, it tends to get difficult as to how you would put across your ideas and thoughts to the opposite gender. We need to develop our body language and speaking skills in a manner which gets decoded in the same manner to both the genders. In order to achieve success in this arena, you could start with talking to people with opposite gender on smaller discussions. Next you could form a group consisting with both genders so that interaction is shared equally and there is lesser nervousness. 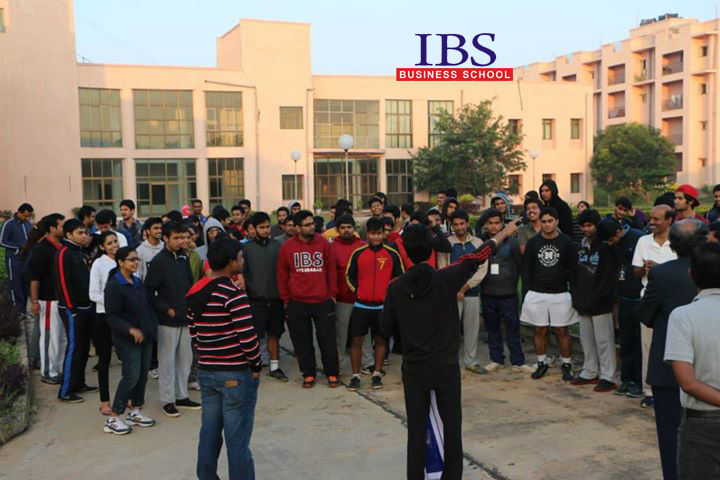 Sharing mind spaces with both the genders during MBA, helps in understanding the thought process on both sides. Equality and no gender discrimination are learnt through this scenario. Working in a corporate scenario with people from both genders leads to sharing a comfortable space and eases out on talks. A sense of culture is developed during MBA which helps in understanding the corporate culture and working with ethics and values bestowed. Public speaking is one of the most essential qualities to be possessed for every person to succeed in presenting their thoughts in front of others. When a person speaks confidently, each word spoken by him or her will be appreciated by others. Similarly when a person gets nervous in speaking, his body language talks more than his/her words. People start losing interest in their talks. 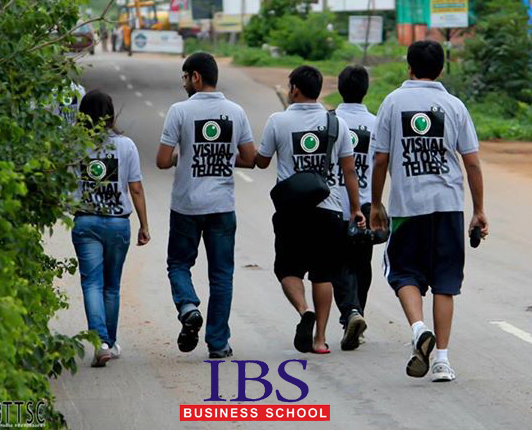 MBA poses this challenge in the form of various activities like giving presentations, stage events etc. To overcome this challenge, start gathering knowledge on various events that take place around. Start discussing it with your friends and family. Sharing one’s thoughts and understanding the perspective of other person will help in shedding away the fears of speaking in front of a crowd. Once you are confident in talking in front of a smaller group, widen it with more friends, discuss it with professors, engage in public speaking events and join in presentation activities. Smaller steps towards public speaking will make you a more confident and knowledge enhanced person. In order to make effective presentations it is important to understand the subject well and to be thorough with its information around all dimensions. This will lead to effective tacking of all the questions that would be asked at the end of the presentation. Also if the presentation is well made and well presented, the audience will have a clearer picture on the case. With each level of challenges being successfully handled, the last challenge faced during MBA is Interview session. All throughout the course we are surrounded by so many activities, that it helps in building our personality in and out. We enhance our language skills, body language, presentation and people skills. Similarly our sense of style in terms of clothing also changes. We understand the value of formal clothing and how important it is during an interview sessions. Our learning for this challenge comes from mock interviews conducted. Our advantages and disadvantages are highlighted and we get to work on those skills, ahead of the actual interview. Once our intellectual skills, technical skills and people skills are built, we are ready to face the interviewer and answer to all those questions with confidence and greater ability. At this stage it appears as a learned stage rather than challenge. Once these five major challenges of the MBA course are faced and learnt, it shapes the personality and career with a growing upscale graph. Motivation is one of the major requirements at each stage of challenge, to help us outgrow of it successfully. MBA gives a sense of responsibility which people carry ahead in the professional lives which outshines their career and scope of improvement. The challenges that one faces during this course are steps leading to a successful career with effective people management, enhancing talent and becoming a responsible citizen. “The road to success is difficult and filled with hindrances, motivation and willingness to reach the destination, will fulfil those desires”. Did you know? Every morning in Africa, when a gazelle wakes up, it knows it must run faster than the fastest lion or it will be killed. Every morning a lion wakes up, it knows it must outrun the slowest gazelle or it will starve to death. Life at a B-School is wickedly analogous to this anecdote. It doesn’t really matter which B-School one has sought admission into. The core modus operandi essentially remains the same. And actually it doesn’t really matter whether you are a lion or a gazelle. When the sun comes up, you better start running. Because there is fierce competition even within the B-School. And there is a damn good reason behind it. Think of it as a specially designed miniature blueprint of the unforgiving corporate world outside. The values of competitiveness and time-management are intentionally inculcated during the course so that they are innately ingrained in your personality after getting through those gruelling two years. 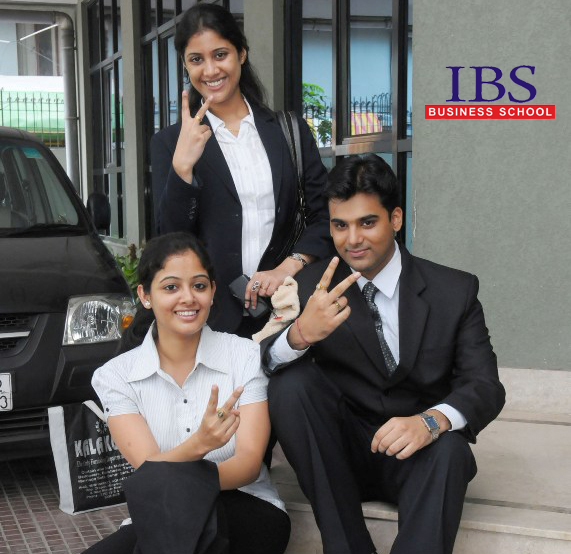 Your B-School knows that you are good and that you are capable of executing a given assignment proficiently. So it is going to test you by making sure that you don’t get enough time to do multiple assignments simultaneously. Ultimately, time management is what they want to teach you. And that too the hard way! The result of this hard-hearted yet ubiquitous approach clearly reflects in the quotidian time-table of a quintessential B-School fresher. Just a few days into it and you’ll quickly realize that the usual schedule is much tougher and hectic than you had heard. After arriving at the college campus, meet-up with your classmates at the canteen/reading room. Exchange notes about the forthcoming lectures. Discuss with your preformed group regarding any presentations or group assignments that are supposed to be delivered today. Push off to the lecture hall. Find a strategically placed back-seat if you are feeling sleepy. Though I would advise you against it as paying attention inside the class would eventually pay you rich dividends at the end of the semester. That ways you would have to study less after college. Actually, it saves a lot of time, which will be a precious commodity during the entire course. Active class participation, however boringly nerdish it may sound will certainly help you in the long run. There are about 40-50 people in a class. You’ll tend to open-up and learn much more when you are proactive. Its an underrated technique to simultaneously hone your soft-skills as well as your hard-skills. Your first mid-morning break. Smell the coffee and gear-up for an impending group presentation on marketing management. 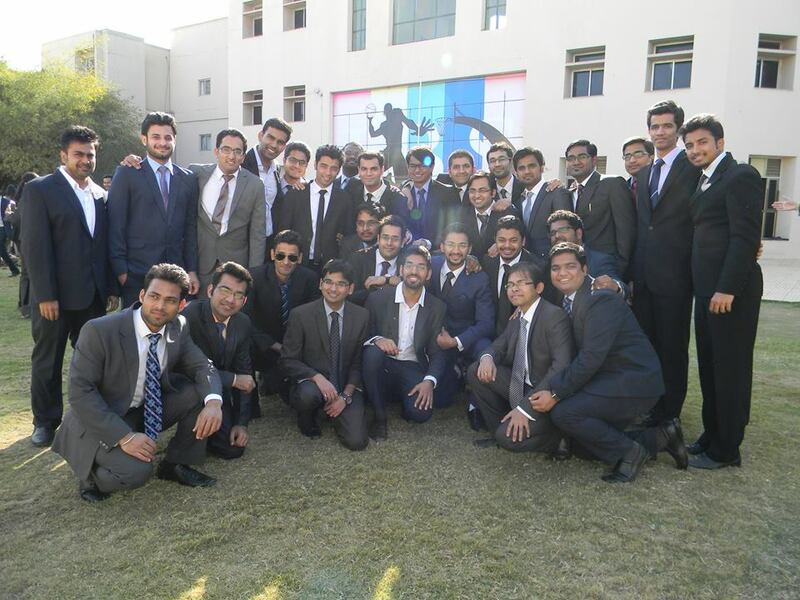 At ICFAI (my alma mater), the class constitution remained uniform during the first year of the course. So there was quite a bit of familiarity amongst us. Which led to a certain level of comfort. So presentations were relatively easy unlike surprise quizzes and tests, which induced goosebumps every time they cropped up. The main reason for the anxiety was that they directly and majorly contributed to our semester GPAs, which in-turn was the basis for good placements. Around 4-5 group presentations can be accommodated per session. After every presentation, a brainstorming question-hour ensues. The audience (read adversaries) raise distressing queries on the subject matter to which logical replies are expected with infallible spontaneity. Whether you crack under pressure or not entirely depends on how prepared and CONFIDENT you are. And remember you are being attentively watched and marked by your examiner. It creates a more stressful situation and tests your limits to the core. During the course, especially during the first two semesters, your predicament will be somewhat similar. But amusingly every time you experience it, it makes you stronger than before. I can say that now with the benefit of hindsight. Every single episode in which I personally endured tremendous pressure subsequently transformed me into a different person. Time for a short recess. Have a cup of hot tea and pull your socks for the next joyride. One unique feature about an MBA course is the excitement derived from its inherent unpredictability. You actually don’t know whats in store for you next. As a result, the assortment of quandary mysteriously adds to the already existing thrill-factor and the fear of the unknown. Now, get set for the next escapade. 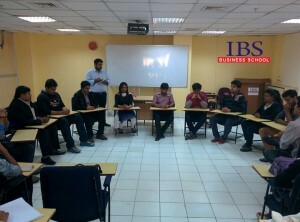 Usually, Human Resource and Soft Skills classes are conducted alternately in most B-Schools. Considered extremely productive for the long-term, a Soft Skill session can be equally invigorating and de-stressing depending on how you use it. Moreover, proactive participation and whole-hearted involvement will do a lot of good to your GPA as well. In addition to hard-skills, soft-skills (however underrated they may be), will always be an exceptionally high-yielding asset to you after even 5/10 years down the line. You’ll have loads of role-plays, inspirational pep-talks, mock-interviews, mock GDs etc. which will help you come out of your comfort zone, open-up and articulate more effectively. After all these years, I still think that if you are able to communicate well with your colleagues, then the chances for a vertical growth of your both your professional and personal pursuits will increase manifold. Very valuable and a scarcely found asset indeed! Lunch break. You’ll find the college canteen flooded with bustling students to have a quick bite and then invest the spare time preparing for the next class/test/quiz or whatever. Usually the longest and the most agonizing session of the day as its just after lunch but is of the same intensity. Experienced professors are always on the look-out of bone-tired students catnapping under cover. So beware! The only way out is through. Brutal – isn’t it? An Operations/IT class is generally scheduled during this time of the day. Both of them are considered comparatively undemanding and less harsh on you. Even for people from non-engineering background. So relax as you can take it easy for a while. The last class ends at 5:30 PM but this is not the end of the day. You have to attend several pre-arranged meetings with your respective groups as a pre-preparation exercise for various presentations/assignments which are due for the following day. By 7:00 PM, you wind up, go back to your PG/Home. Listen to your favorite music. Relax your nerves for a while and re-energize yourself. Do your homework and complete pending assignments. Finally, get ready for the next day’s battle after getting at least a 6-hours sleep! Two years at MBA college is the most crucial period of your life as every day you are striving for excellence and every passing day bring you closer to your D day the placement day. Intelligent mind resides in a healthy body, if you have a healthy body you will feel more energetic and more efficient at your work. Few tips to remain healthy during this crucial period of life. Analyse your eating pattern and take a balance diet- Just observe what you are eating and when you are eating. To eat the right food at a right time is the key to maintain a perfect body. Your day should start with a heavy breakfast in which you can choose a glass of milk with protein supplement like nutrailite, protinex or boost etc which help in supplementing your dietary requirements. Have a brown bread instead of white one with butter or jam, have egg as it’s a good source of protein leaving aside the yellow York part. Take your lunch around 12.30 to 1.30 pm , just ensure that a plate of salad is a must , curd you can include, take chapatti , cereals and lot of green vegetables, avoid rise as it creates drowsiness. Around 3 pm try to have 2 fruits. For your dinner try to take simple food rather than oily stuffs. Do not overeat; it will be good if you can include a bowl of salad. Try to prohibit, oily foods, junk foods, chips, cold drinks and packed juices. Have plenty of water – Try to be a water bearer have lots of water at least 4 litre , it helps in purifying your blood and keep you saturated. Early to bed and early to rise – Though it’s quite difficult, however try to sleep by 11 pm as 8 hrs sleep is mandatory for your body to relax and mind to calm down. Avoid Alcohol and cigarettes – Try to avoid alcohol and say complete no to cigarettes, even if you a developed a habit of cigarettes try to overcome it as it is a prime cause of cancer or asthma. Wash your hands frequently – Try to frequently wash your hands with some anti germ lotions as many diseases spread by bacteria in the hands. Try also to wash your face at least 4 times a day. Bathe daily – Try to bathe daily without fail as bathing kills germs, calms down your body and relaxes mind. In winters bathe with warm water instead of punishing your body with cold water. Yoga and meditation – Try to join yoga and meditation classes as it helps in Increasing flexibility in body, increases muscle strength and tone, Improved respiration, energy and vitality, help in maintaining of a balanced metabolism, Weight reduction, Cardio and circulatory health. Walking Habit – Try to inculcate in yourself a walking/ jogging habit as it is the best exercise, avoid taking lift, escalators etc and try to walk as much as possible. Wear an activity tracker which can track your steps it’s a Fitbit, a Nike FuelBand, or any old pedometer, studies show that people who wear a device that tracks the number of steps they’ve taken each day get moving more than those who don’t. Take Green Tea – Instead of taking too much of tea or coffee, take green tea as it helps in creating a better metabolism for body. Quality Check – Before selecting PG or taking hostel please ensure the quality of food they being served and see whether the kitchen is neat or clean or not. See Labels – Before drinking or taking any packaged food try to see the date of expiry of the product. Get your Linens Washed – Dust mites, a major allergy trigger, love to hang out in your bed. Zap ’em by laundering sheets and pillowcases every week in hot water. Silence your phone at night – During night make a habit to keep your phone in silence mode so that your sleep don’t get interrupted and you get complete freshness after 8 hrs sound sleep. Crank down the volume – MP3 players can create sound up to 120 decibels—loud enough to cause hearing loss over time. “Follow the 60/60 rule: Keep volume coming through your headphones to no more than 60 percent of the max, for no more than 60 minutes a day,” says James Foy, DO, an osteopathic physician in Vallejo, California. Munch on carrots – The humble carrot never got much attention, but it’s now a nutritionist favorite, thanks to its high vitamin A content—just one half cup has almost double the amount you need for healthy eyes. They’re hot with chefs, too, making it easier to get your good-vision fix. Take sunlight – 90% of the people are suffering from lack of vitamin D, sunlight is the rich source of Vitamin D, Try to be in open and expose to moderate sunlight.